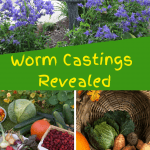 We are going to talk about worm castings. We will learn the definition of worm castings. We’ll talk about how castings are produced and some of the different production methods. We will discuss the impact that production methods and feedstocks can have on the finished product. 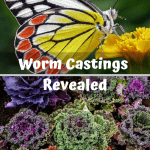 We will also explore what worm castings are and are NOT. 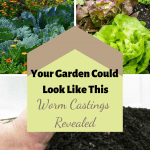 Lastly, we’ll look at the reasons why worm cast seems almost like a magical elixir for your plants and soil. 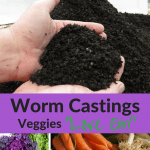 Worm castings and vermicast are two terms with the same meaning. They are essentially worm manure. 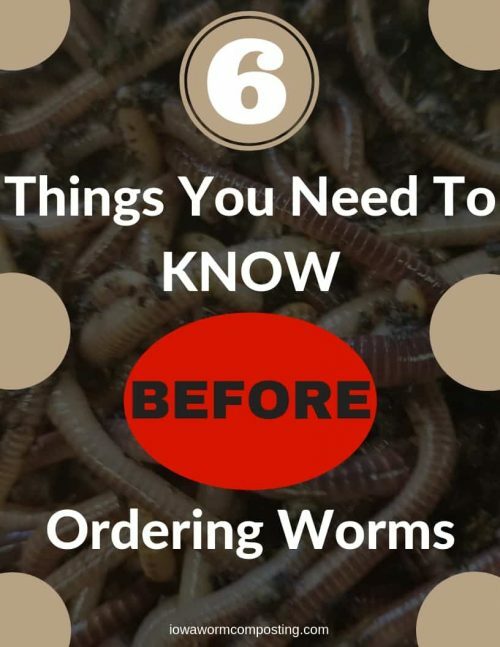 Worms mostly eat bacteria, fungi, and mold that is decomposing waste matter. They eat some waste material also, but mostly in a slurry form after decomposition by the various biotic organisms. 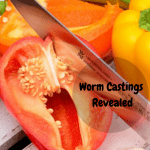 Vermicast or castings are a living entity of beneficial bacteria and fungi. 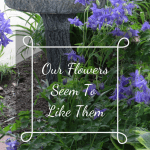 This is an important distinction when compared to chemical fertilizers. 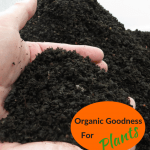 Composting worms require bedding materials and feedstock. Worms and the associated bacteria will consume both beddings and feed over time. Worm densities for an ideal habitat are recognized to be about two pounds per cubic foot. Bedding and feed need to be mostly consumed and this takes time. Three to four months seems to be the accepted norm for good vermicast. Bedding, castings, and feed are screened at some point in time and the castings are separated. 1/4 or 1/8 inch screens are commonly used when processing. The castings are NEVER 100% castings. There will always be some percentage of undigested materials mixed in. This is unavoidable. Some castings producers use sifted black peat moss and feed grain for 14 days before screening. The end product looks like castings but is mostly peat moss bedding with some castings. Buyer Beware! Only buy from a trusted source and ASK how the vermicast is produced. Ethical, reputable sellers will gladly divulge their process. 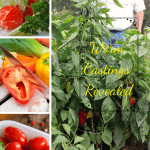 Worm castings or vermicast are not fertilizers in the traditional sense. The standard fertilizer tests will show an NPK test to show a 1:1:1 ratio (Nitrogen, Potassium, Phosphorous). This is very low compared to chemical fertilizer standards. BUT, this is not what castings are about. Vermicast is so much more. We can call it a “Biologic” for want of a better term. The most important part of worm cast is beneficial bacteria. A J.N. Parle Study that has shown castings to have 1000 times more bacteria than the surrounding soil. Twenty days later, the available, usable nitrogen in the soil had increased from 4% to over 35%. This is significant. The bacteria is the key component. 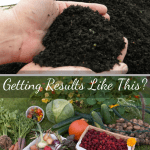 Fertilizer, soil amendment, or soil conditioner? Who knows the proper term? Other studies have indicated that vermicast has properties which help to inoculate your plants from many diseases. Seed starting with castings has proved to be very beneficial. A ten to twenty percent mixture of castings to the potting mix seems to be the sweet spot. We also talked about worm castings being a living entity. We need to treat them as such. The bacterial life is the key component. Storage needs to be in a breathable bag or container. Proper moisture levels also need to be maintained. Shelf life is probably about a year for the best success. Worm castings are also the key ingredient in producing worm teas which will be an upcoming blog post. 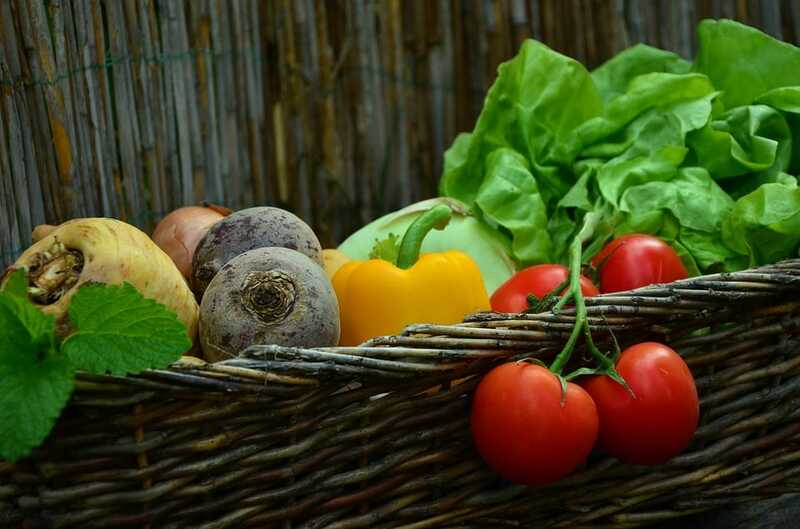 Worm teas used in conjunction with vermicast is a complete solution for growing the most healthy, vibrant flowers and vegetables.